Oscar-winning composer James Horner died in a tragic plane crash on Monday at the age of 61. The man who composed classic films such as Aliens, Avatar and Apollo 13 touched millions of people around the world and especially those in Hollywood. Celine Dion, who sang the massive global hit "My Heart Will Go On" co-written by Horner for the movie Titanic, released a statement expressing her grief. 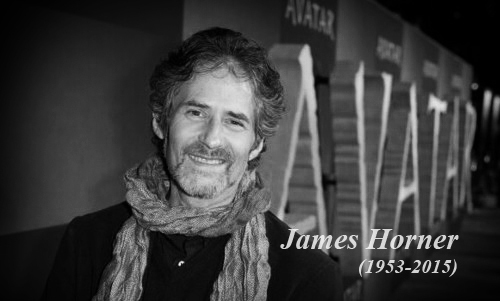 "Rene and I are deeply saddened by the tragic death of James Horner. He will always remain a great composer in our hearts. James played an important part in my career. We will miss him. We offer his family and friends our deepest sympathy." Such a terrible loss. He created some amazing music. He was such an amazing talent and that song really shows how he was able to weave an incredible emotion through his music.